With the 2017 Drum Corps International season in the history books, drum corps throughout the country are already preparing for a wave of new recruits, which means one thingauditions. For those wishing to join a corps, preparation is essential. Fortunately, most corps offer materials online detailing all of their technical requirements and explaining their respective audition processes. 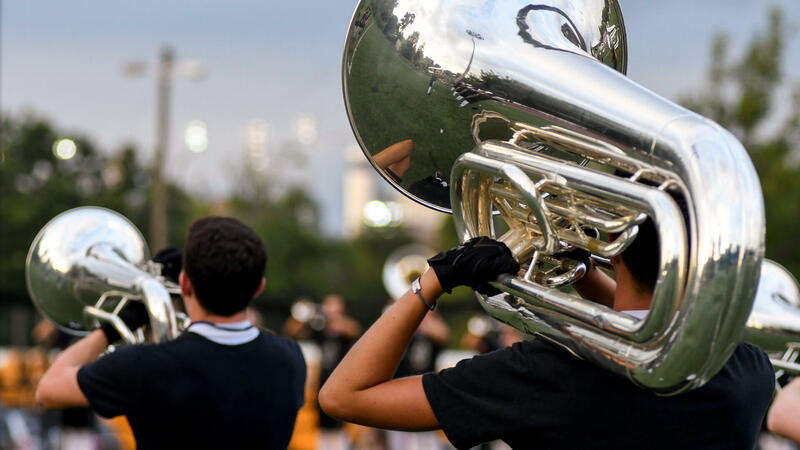 Use this page as a resource to get your drum corps search and audition preparations underway. Always be sure to contact the organization of your choice directly to confirm dates, locations and other audition requirements. Good luck! Each season, thousands of performers take their first steps with a Drum Corps International group. Here's how you can be one of them. Listed below are audition dates for many drum corps across the country. As groups finalize plans for their 2018 audition camps, posted information will be added, updated and changed periodically. Check with the individual corps to confirm details and for additional info. This corps may accept video auditions. Are you age-eligible to join a DCI drum corps? Enter your birthday in this calcluator to do the math. Drum Corps International's age limit is 21 years of age with one exception. Corps members who turn 22 on or after June 1 are eligible to march during that year. Minimum age limits may vary from corps to corps. Prepare for your audition with these tips and tricks.